Raheem Sterling has claimed Jadon Sancho’s transfer from Manchester City to Borussia Dortmund was the right decision, despite playing for our rivals himself. Interestingly, Sterling suggests the bravery to switch to Germany was akin to himself choosing Liverpool when he was at Queens Park Rangers. Sterling joined our Academy in 2010, and in just two years’ time he was a first-team player – but his success at Anfield is clouded by his infamous downing of tools and switch to Manchester City. 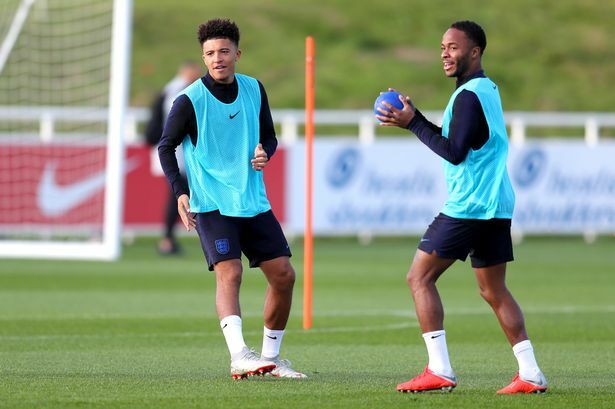 Sancho has been at Dortmund for two years and is an integral part of their first-team, while being a regular member of Gareth Southgate’s England squad. “When he first mentioned to me he was thinking about going abroad, even though he was a City player, I was happy to hear that from him,” Sterling told Sport360, cited in Football365. “To see that confidence, it reminded me of myself when I went to Liverpool. “To have a couple of London teams and Liverpool to go to, I chose the further option, to have the time out away from my friends. “First day I’d seen him training with us, I was really happy to see such a talent,” he added. Sterling has never done well against Liverpool since he joined City, although he has won the title and two League Cups, which some may say verifies his decision. At the time, Liverpool were managed by Brendan Rodgers and going backwards since the exit of Luis Suarez and the fact Steven Gerrard’s career at Anfield was nearing its end. Sterling though, influenced by his agent, behaved very unprofessionally and essentially sulked his way to a £50m transfer. At the time, it looked a fair deal, although now it seems like City got an incredible bargain. We just hope it’s Liverpool who are celebrating domestically and maybe in Europe too come the end of this season – not our former winger.